Our Istanbul cruise port guide gives you information about the docking location, cruise dock, transportation options and much more! Welcome to the Istanbul cruise port guide. This is one of the best place in the world to cruise. Exactly where the European and Asian borders meet we find the city of Istanbul on the river Bosphorus. It is impossible not to fall in love with this city. With a population of about 14 million it is one of the largest cities in Europe. Just like Lisbon, Rome and other great European cities is has been build on 7 hills. With the fall of Rome, one part of the Roman empire would vanish, but the eastern part would flourish as the Byzantine empire with Istanbul as its capitol. Back than the city was known as Constantinople. In 1453 it would fall to the Ottoman Turks who converted the city to Islam and renamed it Istanbul. Because of this historical event still 90% of the cities inhabitants is Muslim. The city is the city of borders and meeting points. It’s not just Europe and Asia that meet here, but also old and new, tradition and modernity. It is a city that will not fail to amaze you. You ship will sail the famous Dardanelles over the sea of Marmara, onto the Bosphorus where you can enjoy one of the most scenic arrivals in the world. Sailing into Istanbul bij cruise ship is something you shouldn’t miss. Make sure to be on the outside deck with a camera 1 hour before arrival and the first hour after departure. There are usually several cruise ships docked at Istanbul’s cruise port. This is one of the cruise docks in Istanbul. –Do the shops and tourist sites take euro? Most larger businesses will. Check form of payment before hand. Keep in mind it is always more convenient to have Turkish Lira on you. –Is Istanbul wheelchair friendly? It can be quite hard. Most of the city is quite flat, but you will find some small hills in the city that are connected by stairs. 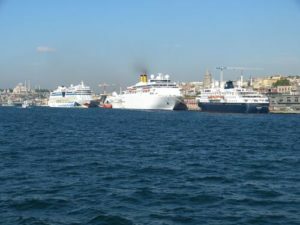 Cruise ships dock at Istanbul’s Karakoy or Salipazari Quay. 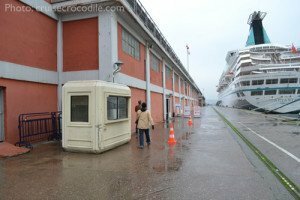 On these cruise docks you will find a cruise terminal where you should be able to find a tourist information point with maps and representatives. These docks are approximately 3,5 km from the historical city centre of Istanbul. Basically all you need to do is to cross the bridge and all the mayor sights are within short walking distance from one another. Some cruise lines will offer a shuttle service. 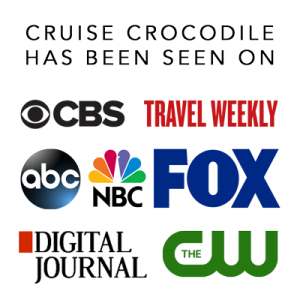 Check with the front office on board what will be the case for your voyage. You will find taxis at the exit of the security gate. The official taxis in Istanbul are yellow. Negotiate the price before you step into a taxi in Istanbul. This city is quite known for ripping off tourist. A taxi from the Cruise Terminal to the city centre SHOULD cost you no more than 20 Turkish Lira. If the taxis at the exit of the port are being difficult just walk onto the public road and hail one on the street. Stop “Sultanahmet – for Hagia Sophia, Hippodrome and Blue Mosque. Find more information on Istanbul’s public transportation on http://www.iett.gov.tr/en. There is a hop on hop off bus in Istanbul that usually comes to the pier. Find a representative on the dock. The bus is wheelchair accessible. Nuruosmanieye is Istanbul’s main shopping street. Find your souvenirs at the Grand Bazaar or Arasta Bazaar. Spices at the Egyptian Bazaar. Istanbul counts 60 cisterns. All of them were built during Byzantine times. The Yerebatan or Sunken Palace is the last surviving Byzantine cistern in Istanbul. It was a enormous water storage tank that dates back from the 532. 336 columns support the underground water tank that could once hold 80.000 cubic water. It was all pumped and delivered through a 20 km long aqueduct. The tank was used until the 16th century. Nowadays it is open to the public. Walk inside, stroll through this mysterious place. Pick up an audiobook to learn more about it. Find it right in the city centre next to Aya Sofya. This is currently the most visited museum in Turkey, but it used to be the administrative centre of the Ottomans for nearly 400 years. It was the 1st palace of the Ottoman empire. It is surrounded by 5km of wall, protected by 28 towers. Expect long queues. Find the museum right in the city centre. 58 streets and 4000 shops make up the Grand Bazaar in Istanbul. This is where you get your handmade artefacts, souvenirs and smoke water pipe. Bring your bargaining skills! A popular thing to do in Istanbul is to take a day or evening cruise on the Bosphorus. Catch these boats at Eminönü on the other side of the bridge. Check its exact location on the map above. One of the most unique buildings in the world. This unequalled masterpiece is a symbol of Istanbul. It wasn’t build as a mosque. It was build to be the greatest Christian Church of the Byzantine empire. Its construction started in 532 and lasted 5 years. Historical records show many different civilisations would eventually stand at the doorstep of this magnificent structure like the vikings, but later also the Ottomans that would completely transform its appearance until the last part of Christian faith was removed. Partly though, because the building still holds secrets inside about its history and previous purposes. 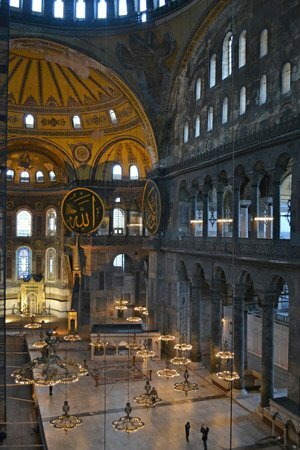 Find Aya Sofia in the city centre. This perhaps is the most scenic sail in into any port of call in the world. Before your ship can dock it needs to sail past the city centre where the minarets dominate Istanbul’s skyline. This is simply something not to be missed. Be on the outside deck at least half and hour before arrival and half an hour after departure. World wide known for its beauty is the Blue Mosque or Sultanahmet. It was built in the 17th century when countless beautiful tiles made up the mesmerising interior of this famous mosque. The Blue tiles is where it has gotten its name from. Blue is very popular colour in Turkey. It is even said the French were so impressed that the called this colour of the Turks: Turquoise. Architecturally the Blue Mosque reveals with the mosque in Mekka, the holiest in all Islam. Witness its beautify for yourself. Please note the mosque is closes 5 times a day due to prayer hours. Shoes must be removed. Women must cover their hair. Find the Blue Mosque in the city centre. Together with the Grand Bazaar this is one of the largest and most popular bazaars of Istanbul. Find 85 vendors in this covered market. Pick up any kinds of dried fruit, nuts, turkish delight and souvenirs. Find this bazaar in the city centre. Reach it by foot or tram. See details above. 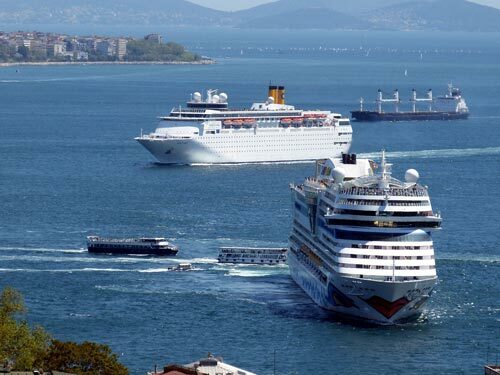 Just north of the historical center of Istanbul is where you will find the Istanbul cruise facilties. From here you will have the oppurtunity to walk to the city, take a taxi or jump on the tram. 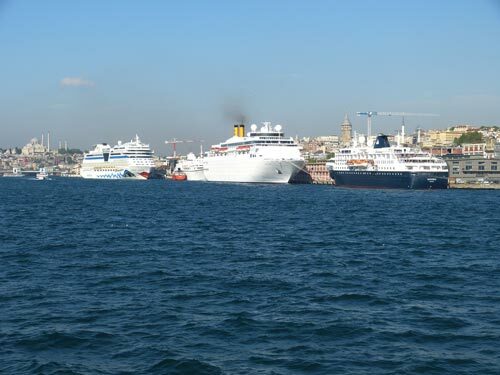 Read all about your docking location in the full Istanbul cruise port guide.